Since 1980, Haddon Robinson has influenced generations of students and preachers through his widely used classic text, Biblical Preaching, in which he shows preachers how to communicate the Bible's big ideas with precision. But does Robinson's "big idea" approach to expository preaching still work in today's diverse cultures and fast-paced world? The Big Idea of Biblical Preaching, now in paperback, presents a strong defense of the ongoing relevance of this approach to expository preaching. An experienced and skilled group of contributors to this volume includes: Paul Borden, Scott M. Gibson, Duane Litfin, Terry Mattingly, John Reed, Bruce L. Shelley, Donald R. Sunukjian, Joseph M. Stowell III, Bruce K. Waltke, Scott Wenig, and Keith Willhite. This volume is written not only for the current generation of students but also for today's preachers, who will find in the pages of this book a powerful approach to expository preaching. At last, clinical readers have a book that takes seriously the importance of play and brings a scientific eye to this most important aspect of life. Drawing on concepts of interpersonal neurobiology, the benefits of play interventions to achieve attunement, neural integration, healthy attachment, and the development of resilience and well-being become clear. The book is organized into three parts. The first part lays a conceptual foundation for considering play in relation to the neurobiology of the developing brain and mind. The next part explores specific topics about play including the therapeutic playroom, the collaborative relationship between therapist and clients, storytelling, and mindfulness. The last part of the book asks questions about the state of play in our families, clinics, and schools. How did we get to a place where play has been so devalued, and what can we do about it? Now that we know how important play is across the lifespan from a scientific standpoint, what can we do to fully integrate it into our lives? After reading this book, clinicians, teachers, and even parents will understand why play helps children (and adults) heal from painful experiences, while developing self-regulation and empathy. The clinical examples in the book show just how powerful the mind is in its natural push toward wholeness and integration. 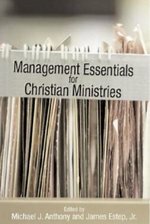 is a thorough examination of management principles for Christian ministries including churches, denominations, and parachurch organizations. Contributors represent a diverse denominational cross section. New to This Edition: *Reflects major advances in understanding and teaching MI. *Fully restructured around the new four-process model. *Additional case examples and counseling situations. *Reviews the growing evidence base and covers ways to assess MI fidelity. Pedagogical Features Include: *Online reflection questions and annotated cases, ideal for classroom discussion. *Key points at the end of each chapter. *Engaging boxes with special topics and personal reflections. *Extended bibliography and quick-reference glossary. Pastors are tasked with the incredibly demanding job of caring for the spiritual, emotional, and, at times' physical needs of their people. While seminary is helpful preparation for many of the challenges pastors face, there's far more to pastoral ministry than what can be covered in the classroom. 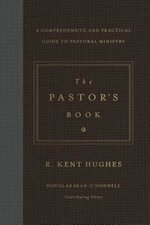 Designed as a reference guide for nearly every situation a pastor will face, this comprehensive book by seasoned pastors Kent Hughes and Doug O'Donnell is packed full of biblical wisdom and practical guidance related to the reality of pastoral ministry in the trenches. From officiating weddings to conducting funerals to visiting the sick, this book will equip pastors and church leaders with the knowledge they need to effectively minister to their flocks, both within the walls of the church and beyond. This updated third edition of Quality Research Papers--fast becoming a standard reference textbook for writing research papers in the fields of religion and theology--gives improvements and added material for such things as the expanding field of online research and doing church-related research in a professional manner. Because so many new developments have taken place in the field of research, especially in terms of electronic research, this handy reference explores the ways to do research on the internet, including how to document such research. Quality Research Papers offers great opportunities to students today, especially in distant learning situations, to determine which resources can be used and which should be rejected. For this reason Nancy Vyhmeister brought in Terry Robertson, Seminary Librarian at Andrews University and professor of the seminary master's level research courses. 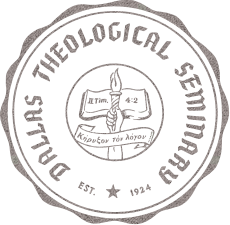 His expertise in library, computers, and the Internet are invaluable to the book. In addition to substantial, current information on electronic resources and online research, this third edition preserves all of the features of the original editions, now presented in a newly revised, more logical order. 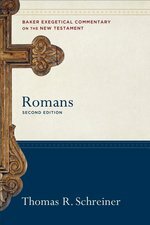 This substantive evangelical commentary on Romans by a leading biblical scholar is one of the most popular in the award-winning BECNT series (more than 25,000 copies sold) and has been praised as a great preaching commentary. This new edition, updated and revised throughout, reflects Thomas Schreiner's mature thinking on various interpretive issues. 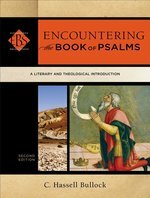 As with all BECNT volumes, this commentary features the author's detailed interaction with the Greek text, extensive research, thoughtful verse-by-verse exegesis, and a user-friendly design. It admirably achieves the dual aims of the series--academic sophistication with pastoral sensitivity and accessibility--making it a useful tool for pastors, church leaders, students, and teachers. A revised and updated edition (with more than 70% new material) of the evergreen classic about the innate differences between boys and girls and how best to parent and teach girls and boys successfully, with completely new chapters on sexual orientation and on transgender and intersex kids. Eleven years ago, Why Gender Matters broke ground in illuminating the differences between boys and girls--how they perceive the world differently, how they learn differently, how they process emotions and take risks differently. Dr. Sax argued that in failing to recognize these hardwired differences between boys and girls, we ended up reinforcing damaging stereotypes, medicalizing normal behavior (see: the rising rates of ADHD diagnosis), and failing to support kids to reach their full potential. In the intervening decade, the world has changed drastically, with an avalanche of new research which supports, deepens, and expands Dr. Sax's work. This revised and updated edition includes new findings about how boys and girls interact differently with social media and video games; a completely new discussion of research on gender non-conforming, LGB, and transgender kids, new findings about how girls and boys see differently, hear differently, and even smell differently; and new material about the medicalization of bad behavior. What is spiritual warfare? Can a Christian be demon-possessed? Are we called to engage territorial spirits? These provocative questions stand at the heart of evangelical discussions of the demonic. Bringing his expository skill and extensive knowledge of early Christianity to bear on the contemporary understanding of the spiritual realm, Clinton Arnold develops a biblical understanding of spiritual warfare, defines the influence demons can have on believers, and sheds invaluable light on the controversial topic of territorial spirits and the extent of believers' authority over them.